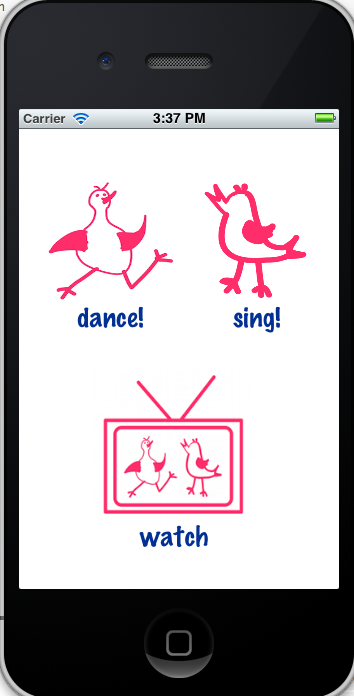 My hackfest-programming-partner Stacie Hibino and I submitted ChickenDance to the 2012 iOSDevCamp Hackfest. We were in the first batch called up to demo, and had various network issues that resulted in the much competed for prize: “Best App with Demo Fail.” I had been holding out for a “Had Most Fun Making App” award, but had to lower my hopes when our names were called. It’s the third “win” for us at the iOSDevCamps. We won “Best New Developer” for DicePad (throw a dice from iPhone to iPad), then “Best Social Game” for “SocialPong” (play Pong with X number of people, consoles are your phone in HTML5). Of course, it’s a sign of loving inclusion to get the award. The worst would be – being ignored – no prize, or having it fail just generally. The fact that the app works, and that we had a lot of fun playing it earlier, is testament to something, right?? Future mods will be: using a database (instead of Amazon S3 exclusively- was a delay in scanning directories) and using Facebook network, as right now it might devolve into a Chat Roulette problems. 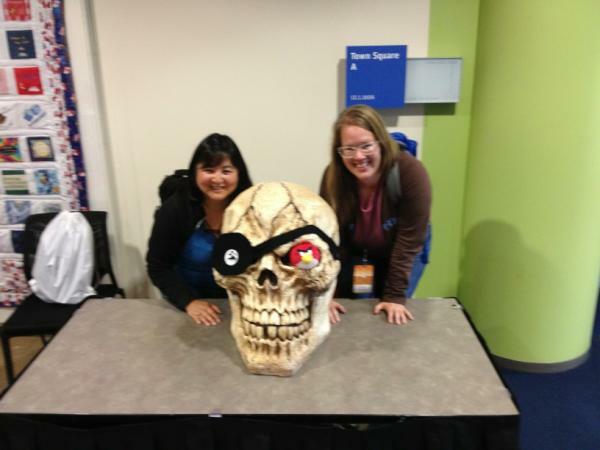 The tradition with the dev camp is to mod the giant skeleton head booby prize. for the next poor soul. Stacie has some fun secret ideas. We put an Angry Bird in the eye socket as a hint to what may come. I’m thinking some kind of vicinity detection that emits smoke from its eyes. Very true, very true. 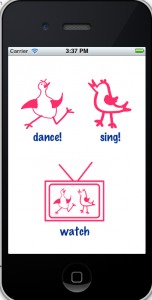 Still, it’s hard when your super cute app flails. I do usually learn from failures, from this one, the lessons were: don’t change your wifi settings right before the demo, and, test the exact sequence of the demo BEFORE the demo. Written Monday, July 23rd, 2012 in iphone dev, technology. You can leave a response, or trackback from your own site.